The Colorado Springs car accident lawyers at the Rector Law Firm provide their hometown, and the surrounding areas, with a complete range of legal counsel services. No case is too big, or too small. With over 75 years of combined experience, Colorado Springs personal injury and criminal defense attorneys, Terry & L. Dan Rector, specialize in many types of cases, including: automobile, trucking, and motorcycle accidents, wrongful death cases, criminal defense, juvenile law, insurance bad faith, and much more. Both attorneys have also practiced as insurance defense lawyers, so they understand the techniques insurance company attorneys use to protect their employers. Dan Rector has been recognized in “Super Lawyers”, and the Rector Law Firm has been consistently rated with 5 star reviews by their past clients for excellence in representation. Call us for results! We have made a strong presence in the legal community, and are continuously striving to offer the best to our clients, something you will quickly realize when you choose us. 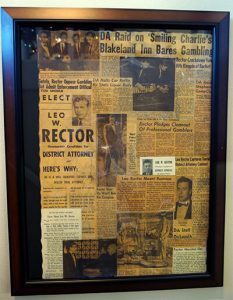 Rector Law Firm has achieved success through the use of clarity and the understanding of our clients’ needs. We know that you will find what you are looking for with our legal services, because we stand behind our work, and know that we will deliver the satisfaction that you’re looking for. Whether it’s personal injuries from a car crash or motorcycle crash, wrongful death, bad faith insurance, DUI or domestic violence, misdemeanor or felony, we are here to help. All you need to do is give us a call and we will take care of the rest. In the mean time, feel free to take a look around our site to learn more about our services. If you have any questions or concerns, please don’t hesitate to contact us at any time. Our law firm has developed highly customer service oriented practices because we believe that focusing on this will achieve the best results for our clients; we want them to succeed through us. Our associates are highly trained and committed to providing the highest levels of quality available. No matter how complex the job, we have the professional experience and knowledge to do it right the first time. We are dedicated to providing you with the right solutions for all your legal issues. Our skilled professional team of associates strives to offer our clients the latest in our field. 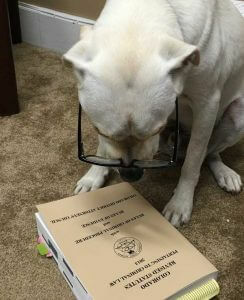 We are always learning more and educating ourselves on the latest technologies and practices of today’s age. 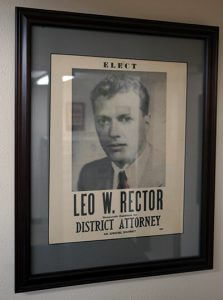 This ensures that anyone who calls Rector Law Firm will be 100% satisfied. We have been top rated by our clients with five star google ratings. If you have any questions or comments about our company, please contact us. Our Colorado Springs car accident lawyers look forward to serving you.